Fabio Zuffanti, composer, arranger and keyboard player of some repute, with a CV including bands such as Höstsonaten, Finisterre, and Maschera Di Cera has carved out a twenty-year career of high quality RPI. 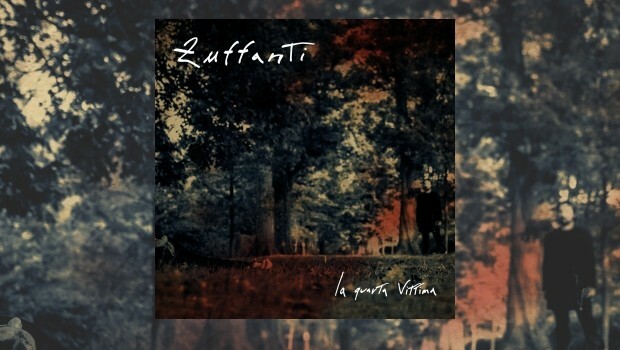 Here with his project simply named Zuffanti, he gives us a dense but accessible slab of modern prog moves. In places reminiscent of the vast structures now being constructed by Steven Wilson, Fabio’s music takes us on a journey that, in my sometimes not-so-humble opinion leaves the occasionally too perfect music by his English contemporary in its wake. The story arc of La Quarta Vittima (The Fourth Victim) is based on the book of Gothic surreal short stories The Mirror in the Mirror by Michael Ende, but as it is in Italian I have to fall back on the music, which with the help of Gilmour-fixated guitarist Laura Marsano, soars off into the heavens on the frantic opener Non posso parlare più forte (I cannot speak louder). The grand guignol of the album concept is easily conveyed through the music as it takes us into the murky corners of a disturbed psyche. The more laid back La certezza impossibile (The impossible certainty) drifts off on clouds of dry ice with another elongated Floydian guitar show. The album takes us on journeys through dark symphonic prog, of a kind that manage to get away with being intentionally bombastic without being wearisome. 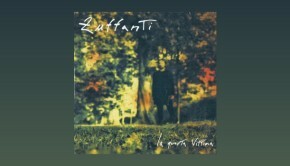 The instrumentation, as you can see from the credits below form a veritable prog orchestra, but Zuffanti is skilled enough in the manner of arrangements that it is never overdone; portentous yes, but in a cinematic and sympathetic way that does full justice to the concept. The PR sheet boasts that the title track is the spirit of Zappa visiting Zuffanti, and the jazzy vibe from the sax, trombone and the flute, combined with a no doubt off the wall lyric certainly gives that impression. It is, appropriately enough, possibly the most interesting and complex track on the record as it wends its way through myriad changes without losing the central theme. Laura Marsano delivers the kind of fluid solo on this one that Frank would have been proud of. Sotto un cielo nero (Under a black sky) is presented in the tasteful CD booklet (which no doubt looks better in the flesh – ouch – than the mere pdfs I have) with a picture of Battersea power station, but there the Floyd influence ends. The track includes a deconstructed jazz ambient middle section that lends a suitable air of uneasy menace to proceedings, leading into a really good jazz piano break from one of the many ivory tinklers listed, before returning to Fabio’s vocal theme, and a faux classical ending. All rather nice and extremely well executed. No modern prog album that goes nowhere near the Genesis end of the spectrum would be complete without a blast of Crimsoid time signature oddness, and Il circo brucia (The circus burns) is that number, even including one of those “guitar as piano” breaks we know so well. It only stays that way for part of the song before stamping Fabio’s by now recognisable psychedelic RPI mark on proceedings, in a subtle and clever manner. While displaying fleeting references to the prog giants of the past, La Quarta Vittima is by no means a slave to its influences as is so often the case with a lot of modern prog, and manages to be something with its own distinct identity. An extremely well produced album, this is a must for fans of Steven Wilson, modern RPI, and BIG music in general.